Reminder: Renew your business licenses the month of January to avoid late charges. For questions, please contact the Finance Department at (323) 562-5700. Recordatorio: Renueve su licencia de negocio en el mes de Enero para evitar cargos por retraso. Para preguntas, por favor, póngase en contacto con el Departamento de Finanzas al (323) 562-5700. Please Note: First time fee for Business License is $77. Renewal of license will be based off gross receipts using the fee schedule below. All Business located in the City of Maywood must fill out the Business Waste & Recycling Confirmation form when submitting their Business License application. Ordinance No. 78-171 of the City of Maywood adopted June 27, 1978 by the City Council amends the Municiple Code with the respect to license fees for business, professions and trades to be computed in accordance with the following schedule, based on the gross receipts of your business during the previous calendar year penalty of 20% if paid 30 days late and 35% penalty if paid 60 days late. If business has changed ownership or been closed please notify the license dept. Professional field including Income Tax Service, Appraiser, Real Estate Office in the city or Broker in the city of Maywood. Other Retail, Wholesale, Manufacturing business located within the city of Maywood. 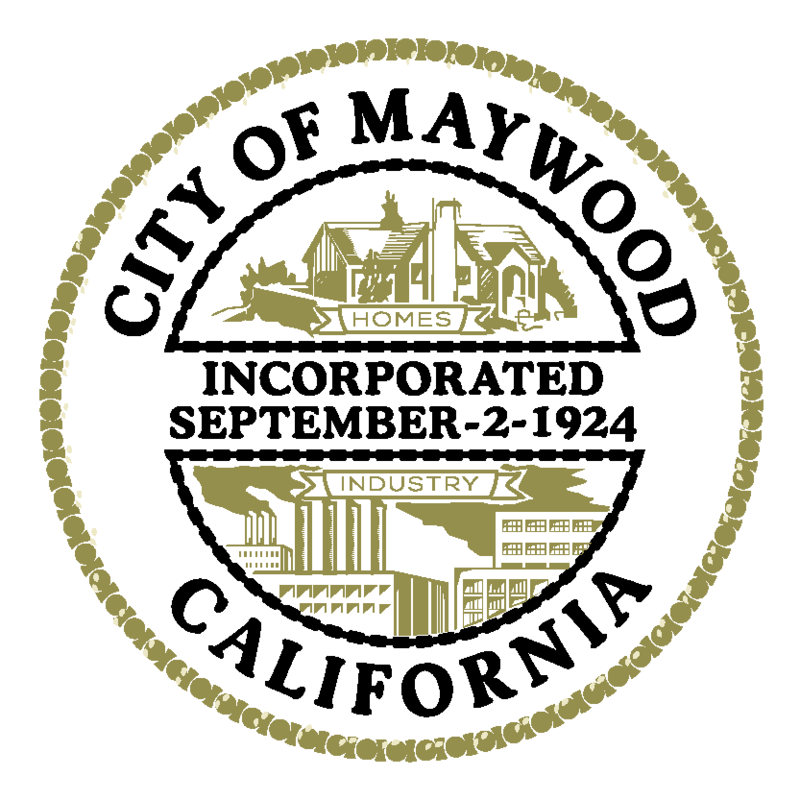 City of Maywood Business License is a license fee that must be paid by a person for the carrying on of a business, occupation, vocation, profession, calling, or other means of livelihood. 3-1.202 BUSINESS LICENSE TAXES: GROSS RECEIPTS. $1,000,000 and less than $2,000,000, a base of $600 plus $140.00 for each $100,000 or fraction thereof in excess of $1,000,000. $2,000,000 or more - $2,000.00 maximum. February 1: Twenty (20%) percent penalties. March 1:Thirty-five (35%) percent penalties. 3.1-111 LICENSE TAX: DUE DATES. 3-1.112 LICENSE TAX: PLACES OF PAYMENT.